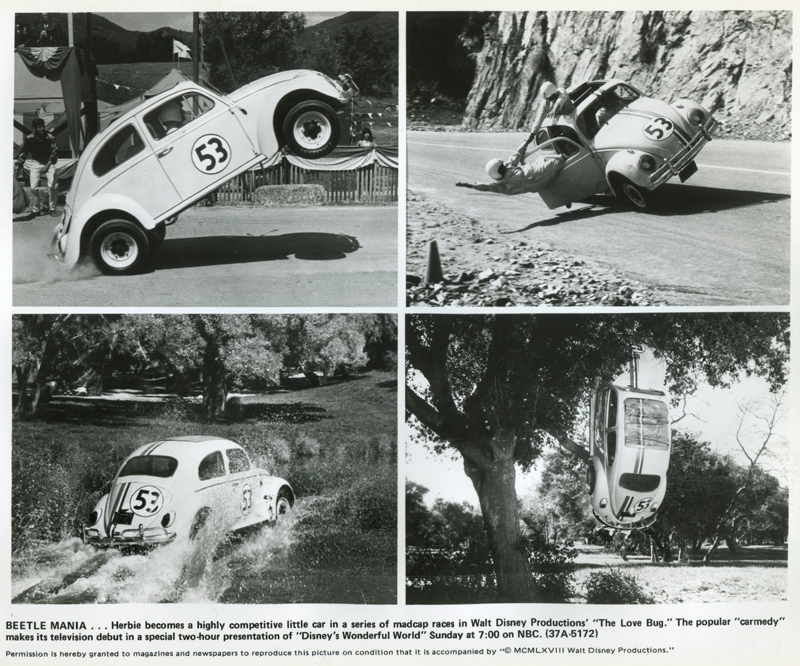 SCVHistory.com LW2765 | Film-Arts | Herbie 'The Love Bug' Tears Through Disney's Golden Oak Ranch, 1968. Herbie "The Love Bug" tears through The Walt Disney Co.'s Golden Oak Ranch in Placerita Canyon in this 4-part publicity photograph. "The Love Bug" from Walt Disney Productions opened for a limited release Christmas Eve 1968 and for general release March 13, 1969. 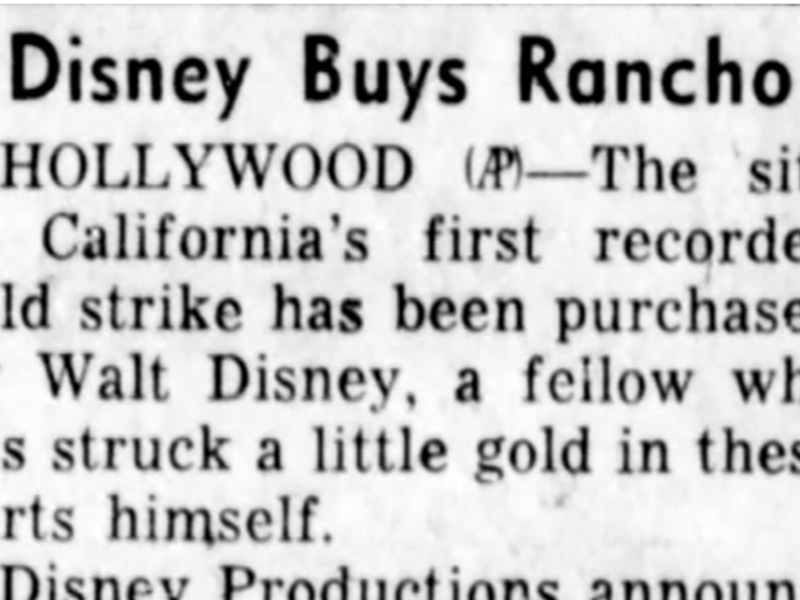 Some exteriors were shot on location at Disney's Golden Oak Ranch; most sequences were shot at Walt Disney Studios in Burbank. Among the other locations used were Riverside International Raceway and other racetracks (not Saugus); Lombard Street, San Francisco; and Big Bear. Herbie was a 1963 Volkswagen Beetle deluxe ragtop sedan painted in Volkswagen L87 pearl white. The standard nickname for the ubiquitous Volkswagen Beetle — technically the Volkwagen Type 1, produced from 1938 to 2003 — was the "Bug." Producer Bill Walsh, a fan of L.A. Dodgers pitcher Don Drysdale, gave Herbie his number, 53. The absence of the number "53" from the car door in the image shown here at upper right is a blooper. Directed by Robert Stevenson, with screenplay by Walsh and Don DaGradi from the 1961 book, "Car, Boy, Girl," by Gordon Buford, the 108-minute "carmedy" features Disney favorite Dean Jones, a tamed Buddy Hackett, Michele Lee (Dusick), David Tomlinson and Joe Flynn. Stunt coordinators were Carey Loftin, who supervised the driving sequences, and Bob Harris. LW2765: 19200 dpi jpeg from original photograph purchased 2015 by Leon Worden.